Dilawari talks about the decade-long work that went into restoring the 128-year-old Esplanade House in Mumbai. Located in the middle of bustling LIC offices and banks, Esplanade House in Fort, Mumbai, exudes the charm of a Parisian villa. The 128-year old structure, which was originally the residence of industry tycoon Jamsetji Tata, has graceful chajjas over large bay windows, decorated urns that line the compound wall and a sprawling front porch. But the house’s return to its erstwhile grandeur is fairly recent. Architect Vikas Dilawari’s work on the mammoth project over the last decade has received international recognition. On March 23, Esplanade House was given the Unesco award for restoration of cultural heritage. In the 1860s, the Fort wall was brought down and trade flourished with the construction of the Suez canal. Prosperous traders turned their attention to investing money in construction projects in Bombay. Premchand Roychand gave the city the iconic Rajabai Tower while David Sassoon built libraries, synagogues and schools. “The city saw opulence in its architecture for the first time. The construction began in 1885 and took two years to complete. 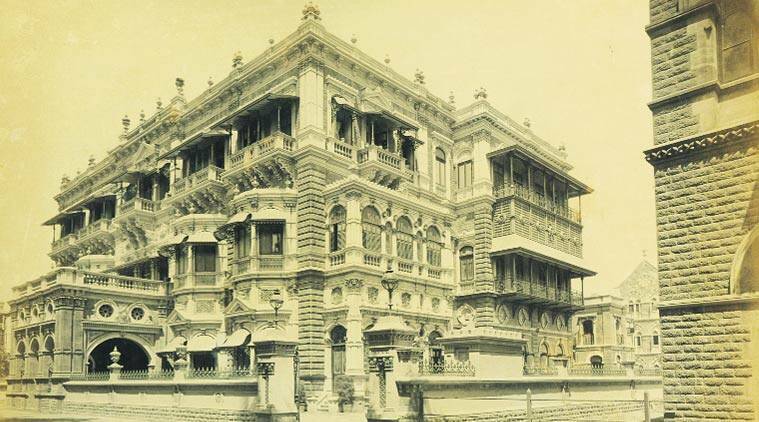 But very soon, Esplanade House rose to become one of Bombay’s most iconic buildings,” says Dilawari. Esplanade House was built in a prime location, facing open spaces all around — Azad Maidan and Cross Maidan in the north, Oval and Cooperage in the south. At the time, it was the only residential building in a neighbourhood of banks, corporate houses and offices. “Jamsetji Tata’s home was the height of luxury. From his first floor balcony, he would watch the English cricket team practise at the Maidan and, when dusk fell, enjoy the sea breeze,” says Dilawari. But its days of glory were short-lived. In the 1930s, the property was sold to the trustees of the RD Sethna Scholarship Foundation. The foundation started leasing the space to offices that changed hands multiple times over half a century. The rent control act of the 1940s resulted in a paucity of funds, thanks to frozen rents from tenants. The building could not be maintained anymore. The wooden balconies and screens collapsed. The toilets were in precarious conditions. The interiors deteriorated rapidly. Farokh Rustomjee, CEO of the RD Sethna Scholarship Foundation, says, “The structure had significant historic value but looking at the shape it was in, the decision to renovate it was taken in 2004.” Dilawari, who was one of the few architect-conservationists then, was roped in. The restoration has been a long process. “The wear and tear it has gone through is quite serious. The balconies, walls and ceilings had collapsed,” the conservationist says. Even washing the floors was complicated. The Esplanade House was one of the first few houses to be electrified, but the wires ran across timber floors and false ceilings. Esplanade House has been rewired, re-slabbed and reconstructed. “The architecture was advanced for its time. Take the stained glass paintings, the Parisian awnings or the Chinese ivory and brass that adorns windows of two large halls with frescos on the ceilings. It was a conservationist’s dream,” Dilawari says. While the first floor is rented out, there are no plans of opening it to the public yet. Some parts of the house are under property disputes. These remain shut and unrestored.